NIST Institute Pvt Ltd is a reputed ISO 9001:2008 approved company which provides various UK based HSE and food safety course certifications of NEBOSH, CIEH, IOSH and IRCA for past 7 years. NIST is serving in various countries like India, Gulf, and SriLanka. 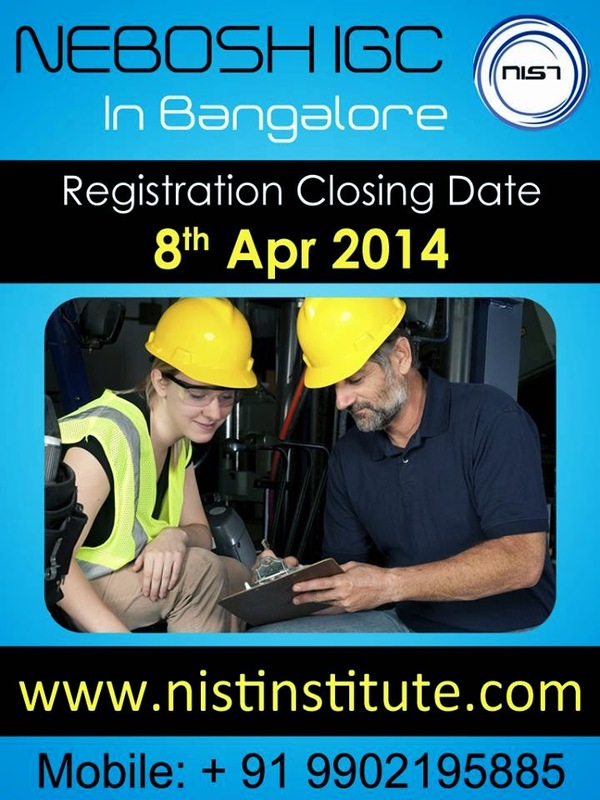 It ’s time to grab your new discount offer of 5% exclusively for NEBOSH courses in Bangalore NIST. It is a very good chance to get NEBOSH IGC, NEBOSH IOGC and NEBOSH IDIP courses with 5% discount offer. Make your registration quick to get your freebies. Bangalore professionals who need a broad knowledge and fundamental understanding of safety and health concerns can find NEBOSH IGC course available through NIST. This certification is suitable for any level of professional of any kind of industry. NEBOSH IOGC is a course designed for professionals with the background of petroleum engineering and petrochemical graduation who are with safety responsibilities in the oil and gas industry. NEBOSH IDIP is a highly presumed qualification for currently working HSE people. This certification is the most valued course out of all NEBOSH certifications and brings you employability worldwide.